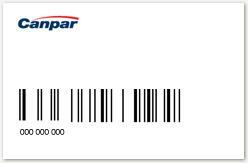 Whether you need to track a single package or multiple packages, Canpar Express offers many options. You can track a parcel(s) by either barcode or reference numbers along with either your shipper number or destination postal code. You also have the option to obtain the delivery signature while tracking your package. If you experience difficulty when tracking your package, please click here to contact us. Please select your preferred method of tracking below.